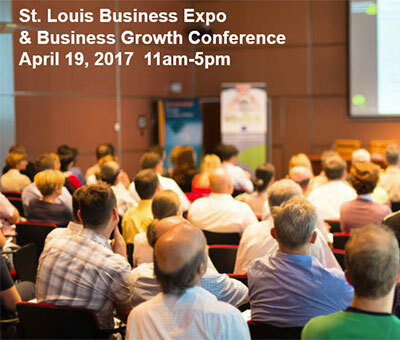 Come see what our IQComputing St Louis Web Design services can do for you at the annual St Louis Business Expo in April. Guess what? It doesn’t cost you anything to attend! Taking place this year on Wednesday, April 19, 2017, the Expo touts up to several thousand attendees who come for workshops, seminars, and most importantly inspiring ways to grow their businesses. Even though we all know that the primary reason you’re coming is to connect with us, there are all sorts of great activities including networking, seminars, and niche events including the “Contacts for Contracts Special Procurement” section sponsored by the Missouri Procurement Technical Assistance Centers which focuses on doing business with city/state/government entities. With over 100 exhibitors, there are a lot of folks to meet. You’ll walk away with cool swag and stories to tell around or even better, new contacts and new ideas for growing your business or simply making it work more efficiently. We’ll be introducing some of our new digital marketing services at this year’s event. You’ll meet some of our team members and get a chance to talk offline about anything online. IQComputing is a leading provider of custom St Louis web design and development services primarily across open source platforms such as WordPress. We’re all about empowering clients with tools to run their businesses online and stepping in to support them in a variety of roles from digital marketing to keeping their websites spiffy. It’s not surprising that we hear comments such as “what purpose do events like this really serve?” or “will I benefit from this much time out of the office?” Marketing and networking events like this are all about what you make of it. Going in with a fresh mindset, especially if you have problems to solve, can make a world of difference when it comes to squeezing the most value out of a few hours of time. Sometimes you just need to turn over the rocks to see what’s under them. Don’t believe it? Come visit us and let’s make a case for you! As in years past, the Expo will be held at the St Charles Convention Center in Missouri so it’s an easy drive from anywhere around St Louis.